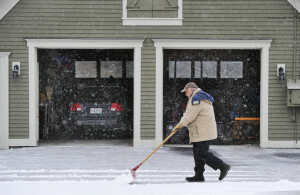 Wayne Hutchins 78, of Dayton scrapes a layer of light snow from his driveway Thursday afternoon. The storm is expected to end by Friday morning, with skies gradually clearing throughout the day. 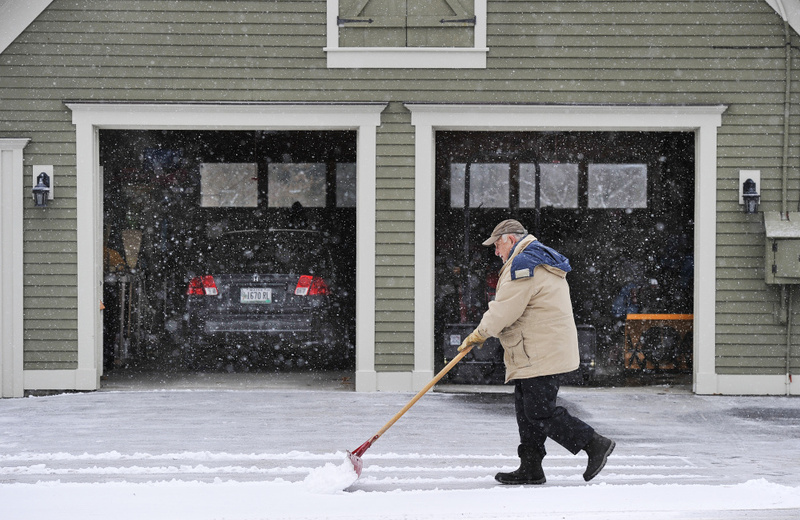 Wayne Hutchins 78, of Dayton, scrapes a layer of light snow from his driveway Thursday afternoon. The storm is expected to end by Friday morning, with skies gradually clearing throughout the day.